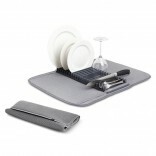 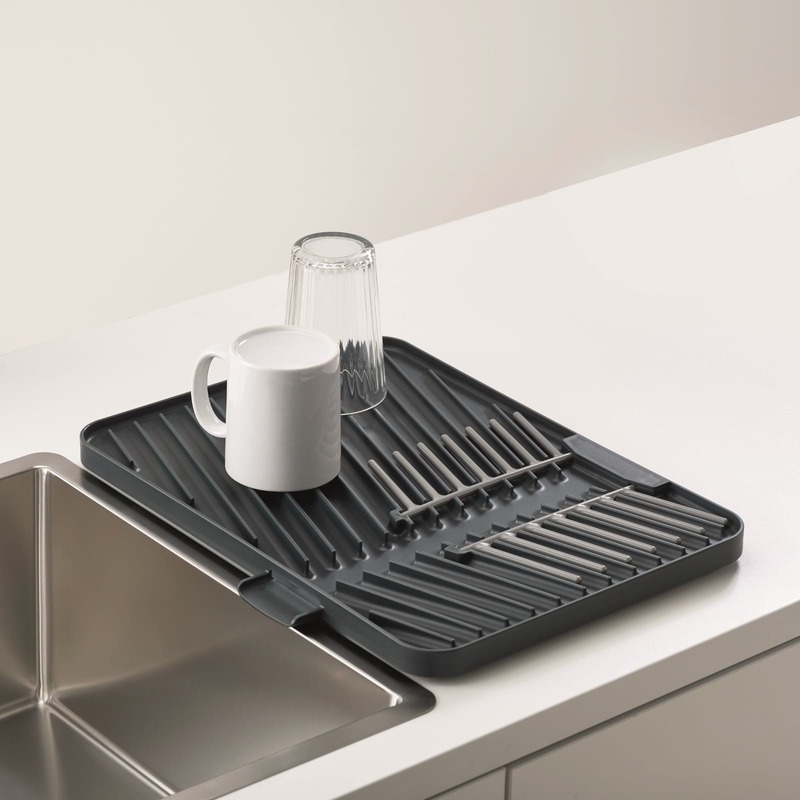 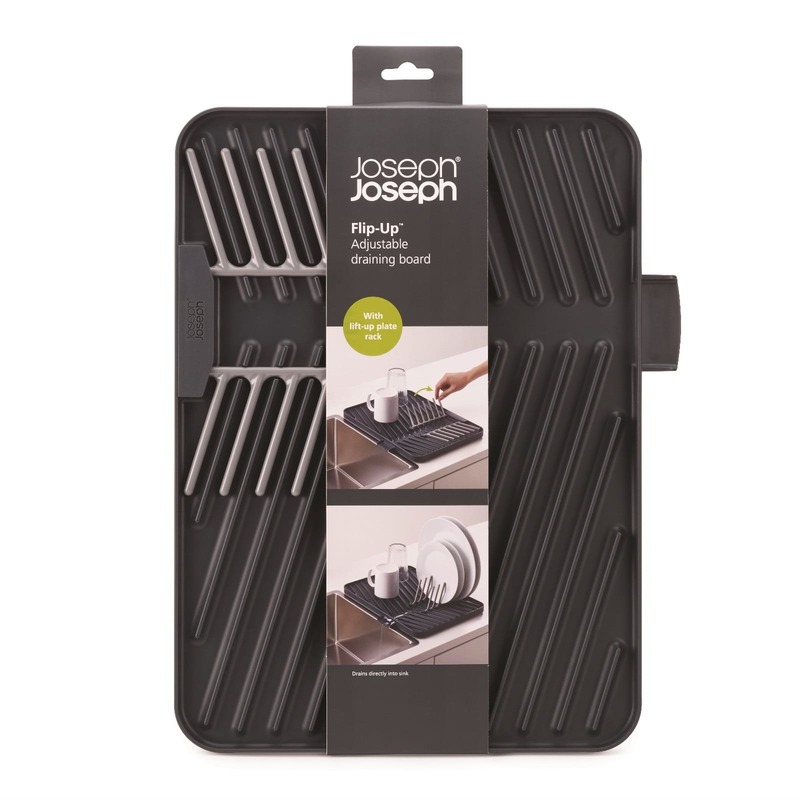 Flip-up™ by Joseph Joseph is a clever adjustable draining board that creates extra space when you need it, but can be stored neatly away when not in use. 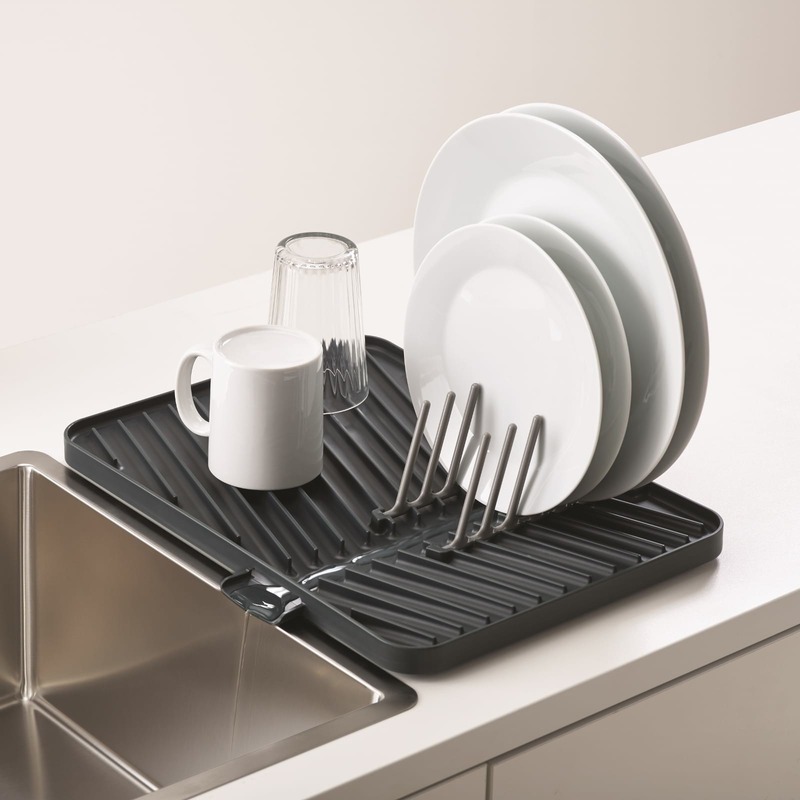 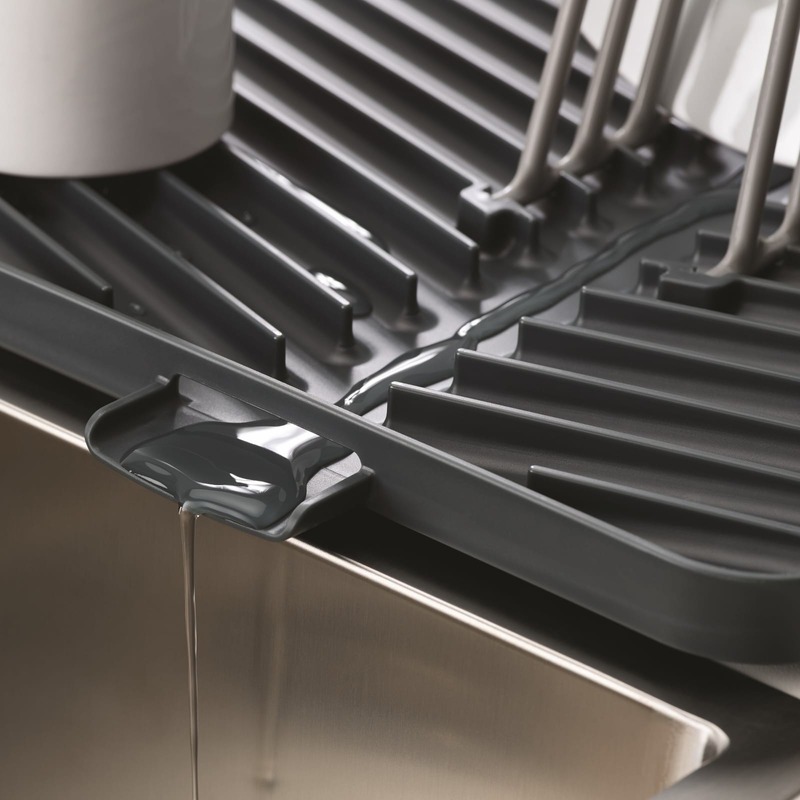 This crafty draining board includes a handy pop-up plate rack that locks into place for stability so you can drain up to 6 dinner plates as well as a variety of cups, glasses and bowls. 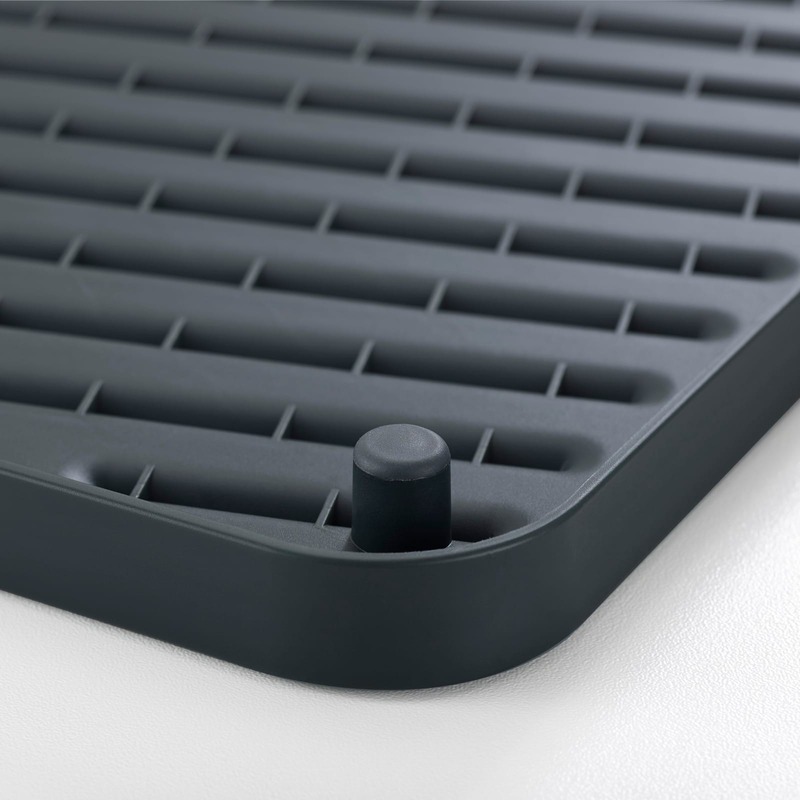 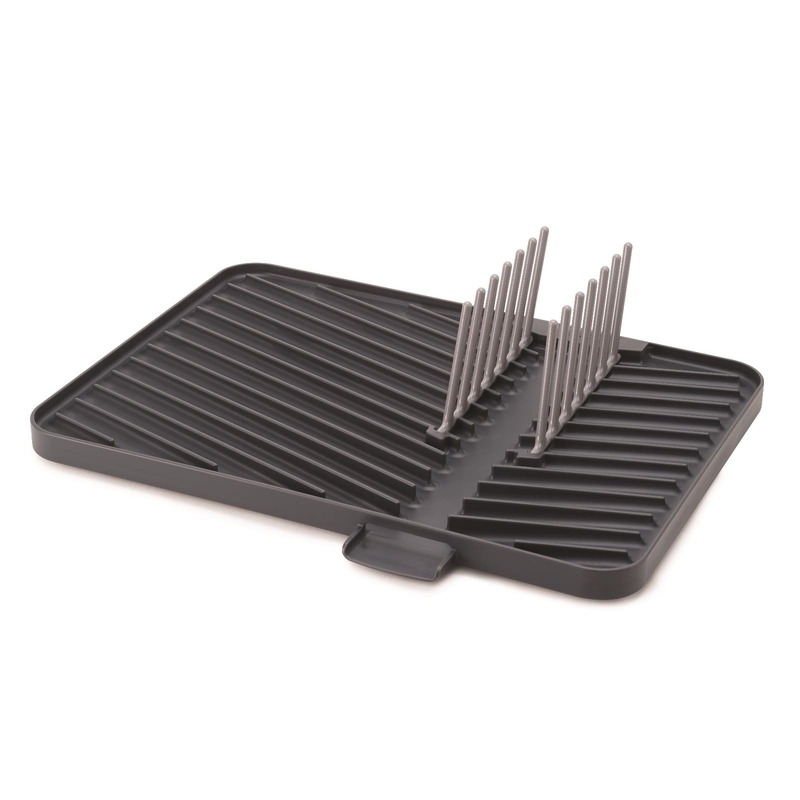 The non-slip feet on the base ensures that even when placed on a wet surface, the unit stays in place, and after use, the rack can be folded neatly away for compact storage. 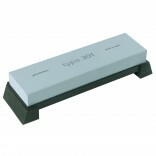 Dimensions (folded down): H 2.4 x W 40 x D 31.9 cm (0.94 x 15.75 x 12.56 inches).